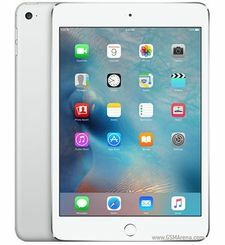 iPad has always offered a uniquely simple yet immersive experience. 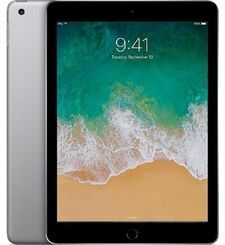 And now with its expansive 12.9-inch Retina display, nearly double the CPU performance of iPad Air 2, and refined MultiaEuro Touch technology, iPad Pro adds another dimension to that experience. ItAndrsquo;s not just larger. 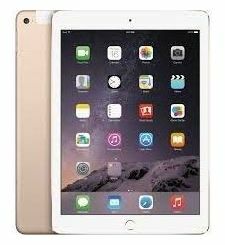 ItAndrsquo;s an iPad that lets you be more creative and more productive Andmdash; at a whole new scale. With 5.6 million pixels, iPad Pro features the highestaEuro resolution Retina display of any iOS device. The 12.9aEuro inch screen makes everything you do Andmdash; editing 4K video, designing presentations, running a business Andmdash; easier, faster, and more engaging. And the MultiaEuro Touch subsystem has been reengineered, expanding the ways you can interact with iPad. At the heart of iPad Pro lies the new A9X, our thirdaEuro generation chip with 64aEuro bit desktopaEuro class architecture. 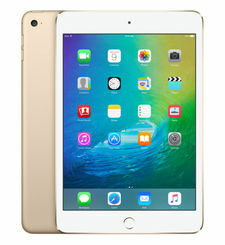 It delivers up to 1.8 times the CPU performance and double the graphics performance of iPad Air 2. So even the most demanding apps run effortlessly. iOS 9 is the most intuitive, advanced, and secure mobile operating system in the world. With new capabilities that take full advantage of the powerful performance of iPad Pro, it helps you be more productive and creative. Multitasking makes running two apps at once a snap. And improved features throughout the system, including Siri and Spotlight search, make iPad even more useful. If it feels like iOS 9 and iPad Pro were designed for each other, itAndrsquo;s because they were. iPad Pro comes with a variety of builtaEuro in apps that make it easy to take on the essential things you do every day. And on the App Store, youAndrsquo;ll find incredible apps designed just for iPad, so thereAndrsquo;s virtually no limit to what you can do. Even with its massive display, iPad Pro has an astonishingly slim and light design Andmdash; just 6.9 mm thin and 1.57 pounds. Yet thanks to the strong unibody enclosure, it feels wellaEuro balanced and sturdy. For all its capabilities, the most surprising thing about iPad Pro may be how easily it seems to disappear in the hand. Thin. Light. Epic. 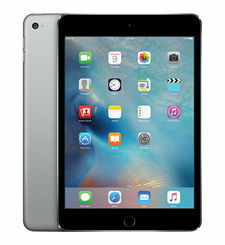 iPad has always offered a uniquely simple yet immersive experience. 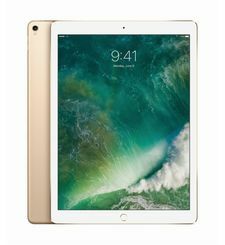 And now with its expansive 12.9-inch Retina display, nearly double the CPU performance of iPad Air 2, and refined MultiaEuro Touch technology, iPad Pro adds another dimension to that experience. ItAndrsquo;s not just larger. ItAndrsquo;s an iPad that lets you be more creative and more productive Andmdash; at a whole new scale. With 5.6 million pixels, iPad Pro features the highestaEuro resolution Retina display of any iOS device. The 12.9aEuro inch screen makes everything you do Andmdash; editing 4K video, designing presentations, running a business Andmdash; easier, faster, and more engaging. And the MultiaEuro Touch subsystem has been reengineered, expanding the ways you can interact with iPad. At the heart of iPad Pro lies the new A9X, our thirdaEuro generation chip with 64aEuro bit desktopaEuro class architecture. 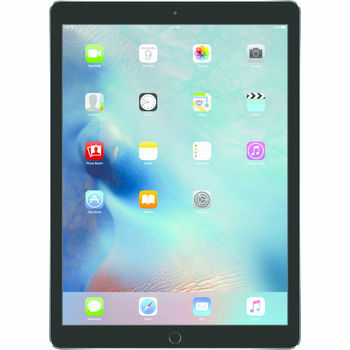 It delivers up to 1.8 times the CPU performance and double the graphics performance of iPad Air 2. So even the most demanding apps run effortlessly. iOS 9 is the most intuitive, advanced, and secure mobile operating system in the world. With new capabilities that take full advantage of the powerful performance of iPad Pro, it helps you be more productive and creative. Multitasking makes running two apps at once a snap. And improved features throughout the system, including Siri and Spotlight search, make iPad even more useful. If it feels like iOS 9 and iPad Pro were designed for each other, itAndrsquo;s because they were. iPad Pro comes with a variety of builtaEuro in apps that make it easy to take on the essential things you do every day. And on the App Store, youAndrsquo;ll find incredible apps designed just for iPad, so thereAndrsquo;s virtually no limit to what you can do. Even with its massive display, iPad Pro has an astonishingly slim and light design Andmdash; just 6.9 mm thin and 1.57 pounds. Yet thanks to the strong unibody enclosure, it feels wellaEuro balanced and sturdy. For all its capabilities, the most surprising thing about iPad Pro may be how easily it seems to disappear in the hand.